You may see the down-to-the-minute wait time estimates on this RideMax plan and wonder, "Why would RideMax even attempt to publish wait time estimates? Surely my day can't be planned out this precisely, can it?" Of course, to some extent this is true. But these detailed wait time estimates do make clear what the RideMax software was assuming when it created your Disney World plan. This gives you the chance to adjust your schedule "on-the-fly" if you notice something unusual while visiting the park. 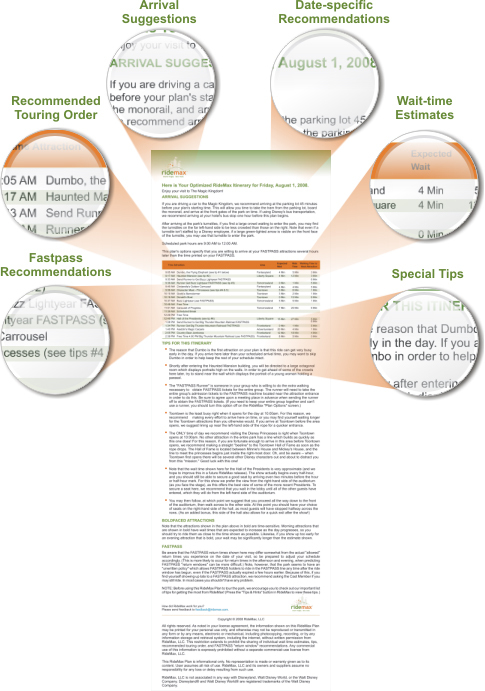 Even more importantly, these wait time estimates give you a significant advantage during the planning process itself. If you create one plan for a Disney World theme park and see wait time estimates which are too long for your liking, you can adjust your planning parameters in the software and create a new plan instead. Possible adjustments may include setting an earlier arrival time or visiting a lower-rated (and less busy) attraction rather than attempting three rides on the ever-popular Dumbo, for example. We hope you'll appreciate all of these little details that make RideMax such a powerful Disney World planning tool. 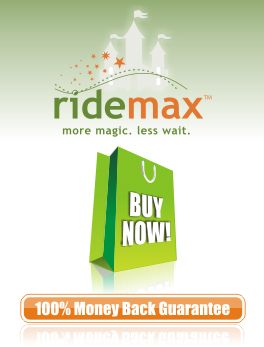 Why not download RideMax now and start planning your Disney World vacation today! ?